Piega are a Swiss speaker manufacturer who combine ribbon tweeters with conventional drive units, for a precise and accurate sound. We came across them whilst on the hunt for a full range loudspeaker with a small and contemporary footprint. 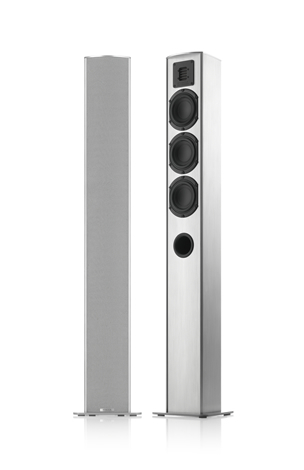 The TMicro 60 AMT is a tall narrow floorstanding loudspeaker, made from aluminium. We were impressed with the smooth and precise sound, and very neat presentation. At first glance you’d think that these would sound a bit harsh, given that the enclosure is made from an Aluminium extrusion. The reality, is that they are a joy to listen to, with plenty of dynamic range and depth way beyond what you’d expect for such a small cross section. The TMicro 60 AMT is available to audition in our showroom. The TMicro 60 AMT is part of the TMicro series of speakers, which include, bookshelf speakers a centre channel and a sub-woofer.